The Cathedral Prep baseball team fell in a hard fought game against Blackhawk 7-6. The starting lineup for the Ramblers led off with Regan Schleicher in center field. Batting second and playing third base was Jimmy Colvin. Batting third and pitching was Rockne Seidel. Batting fourth and playing left field was Colin Kelly. Batting fifth and playing short stop was Alex Baldi. Batting sixth and playing right field was Paul Causgrove. Batting seventh as a designated hitter was freshman Patrick Sullivan. He hit for the first baseman Ryan Tomczak. Batting eighth was catcher Mike Oblich. Batting ninth was the second baseman Caden Elwell. Pinch running for the Ramblers was freshman Jacob Cooper. In the first inning the Ramblers gave up four runs, but in the second inning Collin Ishimaru drove in one run for Cathedral Prep. 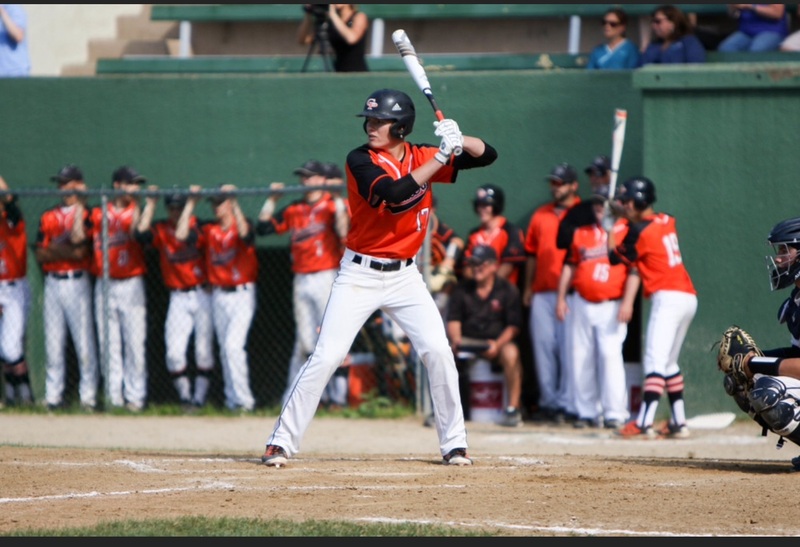 In the fourth inning the Ramblers woke up the bats with Jimmy Colvin hitting a double off the wall, which drove in two runs. Schleicher also drove in a run. Then in the sixth inning Jimmy Colvin hit a 350-foot home run to tie the game at 6 apiece.